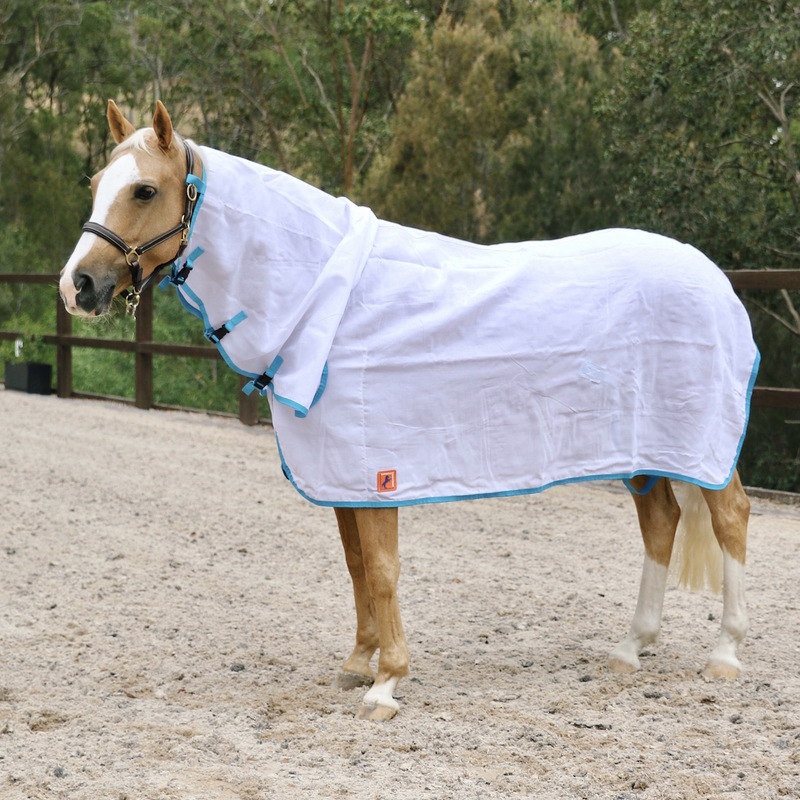 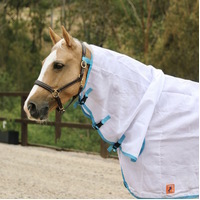 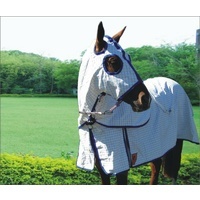 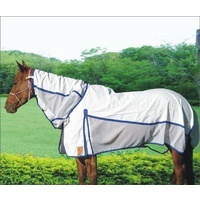 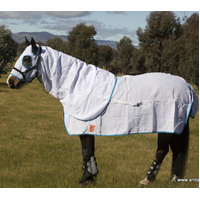 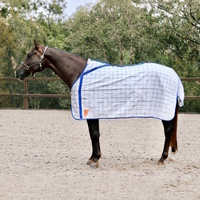 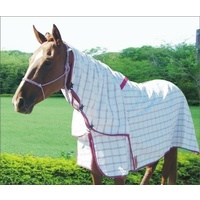 This Flag cloth combo rug is perfect for keeping your horse cool and protected on those extra hot days. 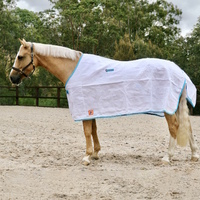 The rug is made using a 150 Gsm Polyester Flag cloth fabric, this fabric is by far the best fabric being used on a flag rug in the market. 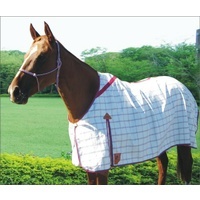 Unlike other rugs, the weave on our fabric does not move or come apart. 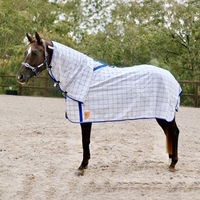 To keep the rug light, highest quality plastic fittings have been used along with a solid brass 2 bar chest buckle. 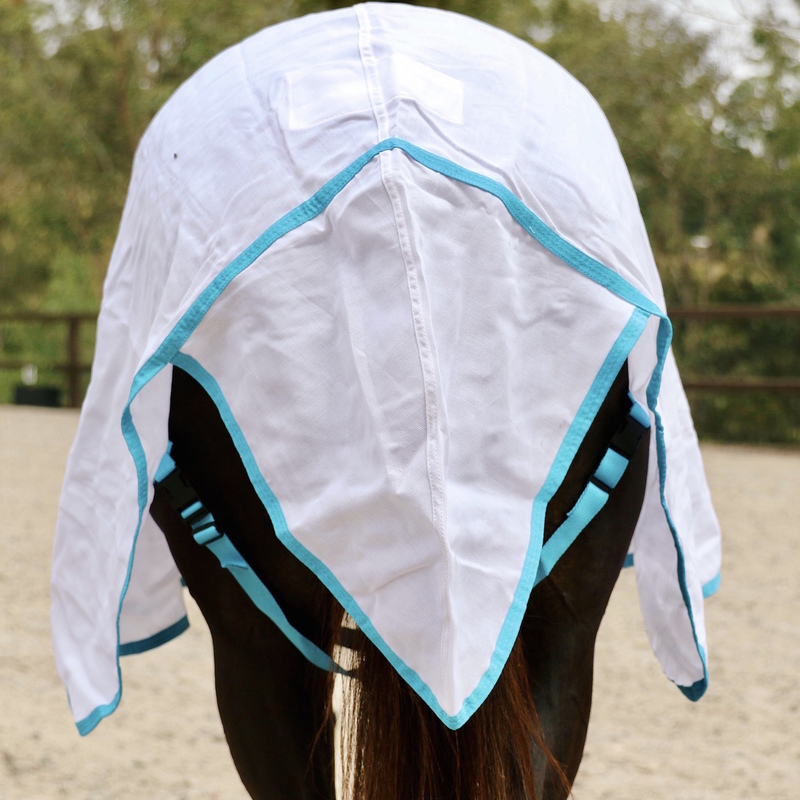 A soft 70D lining has been used at the shoulders to prevent rubbing, plus the neck has been re-enforced to prevent stretching at the neck. 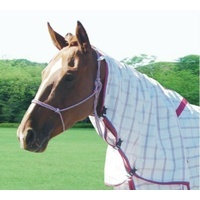 150 Gsm Durable White Flag Cloth. Soft 70D Lining at the shoulder to prevent rubbing. 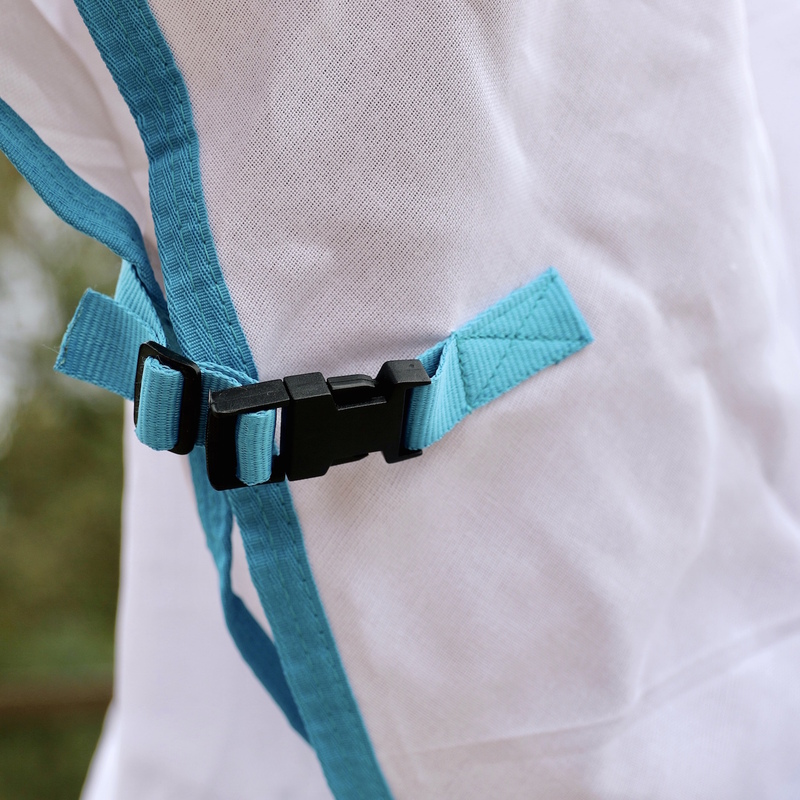 Bound with a vibrant Aqua Polyester binding. 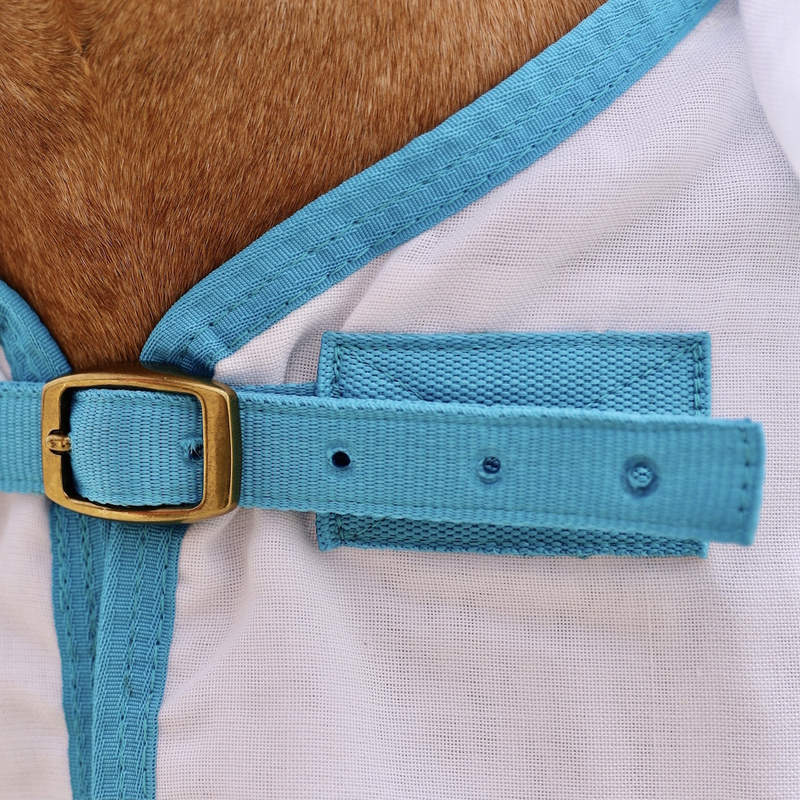 Re-enforced tape at the neck to prevent stretching. 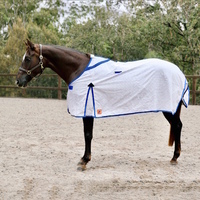 Highest quality plastic fittings used to keep the rug light.